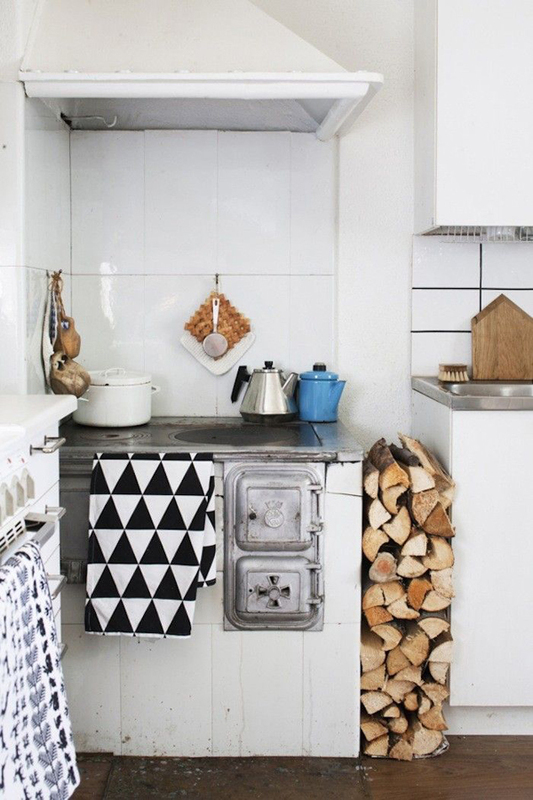 I love the Aga stove in the first image. 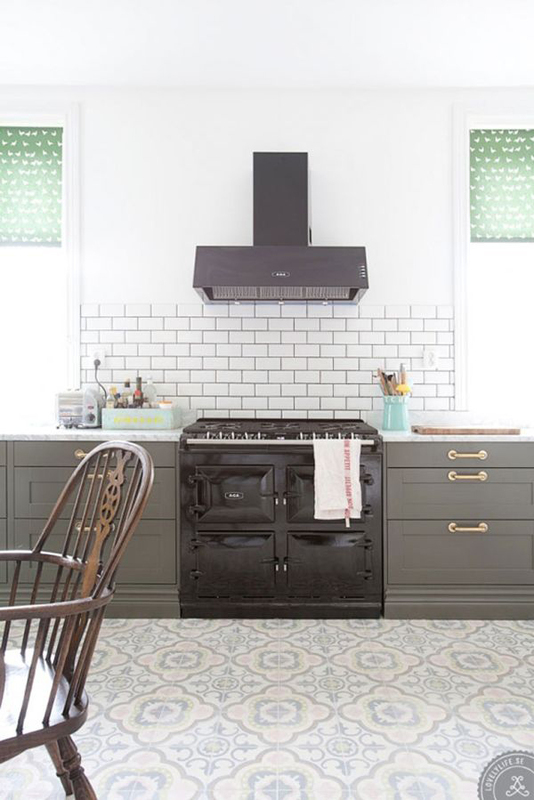 When renovating our current home this kitchen stove did not fit into our budget but an Aga is is still on my wish list for a future home. 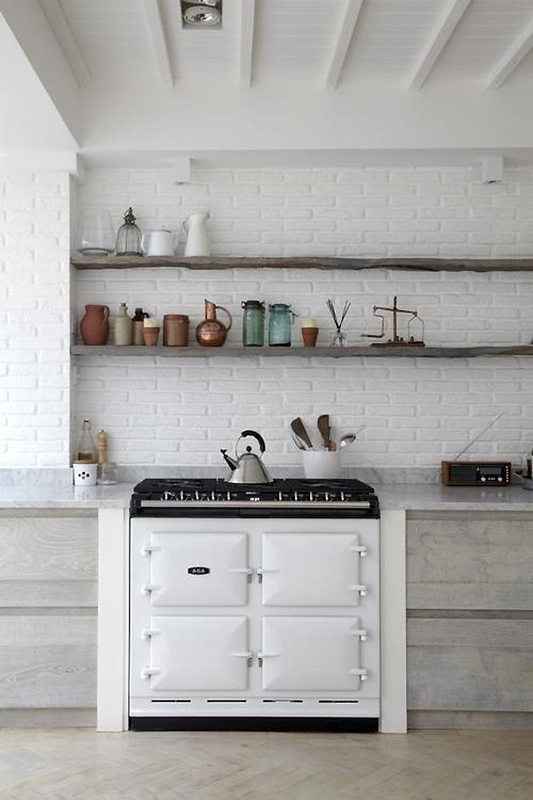 It has an old fashioned look but I like that it fits very well in a modern kitchen. 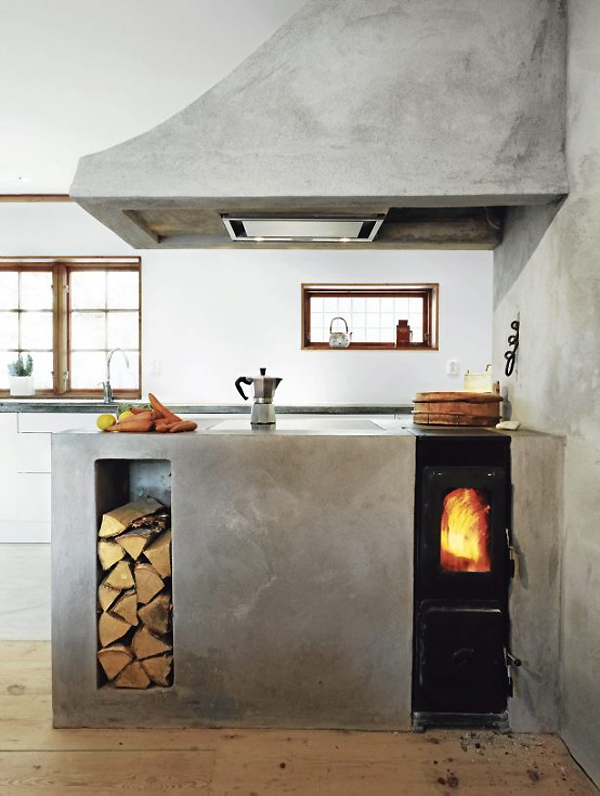 For this post I have selected nine other images of beautiful kitchen stoves: some vintage, some modern and some rustic. 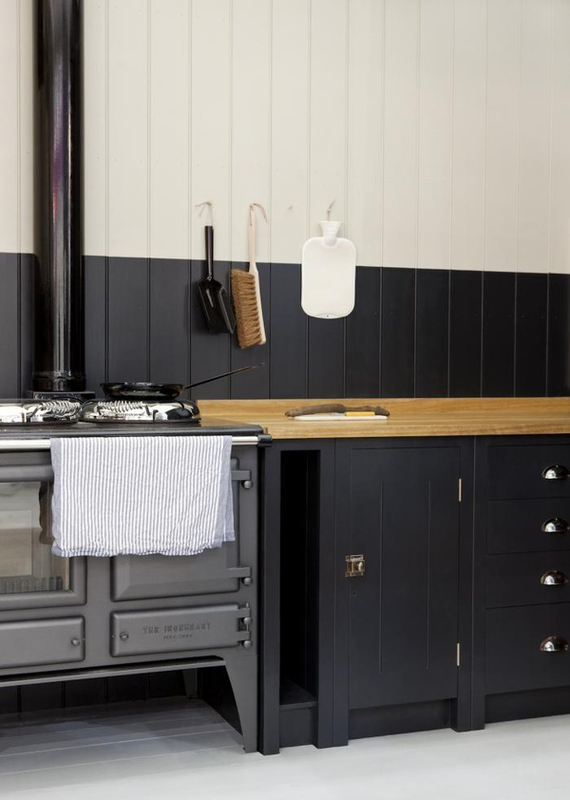 You can see more kitchens here, here and here. Source: 1. 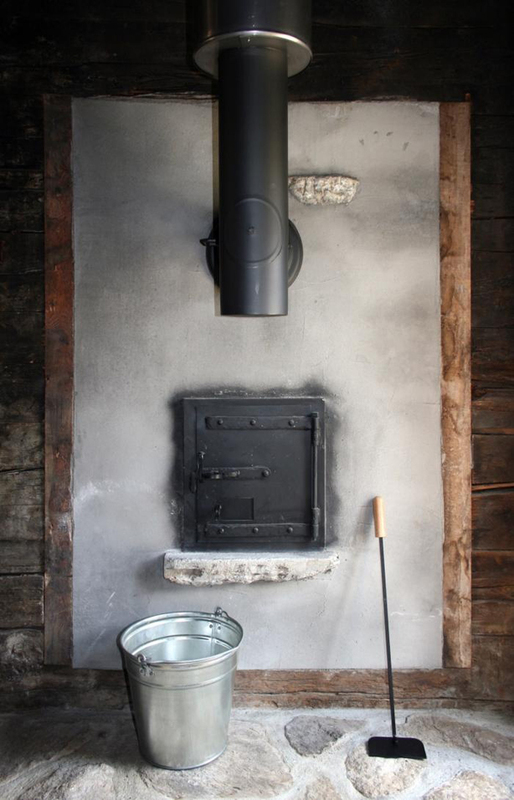 Aga stove via JJ Locations | 2. a Finnish cottage kitchen stove | 3. 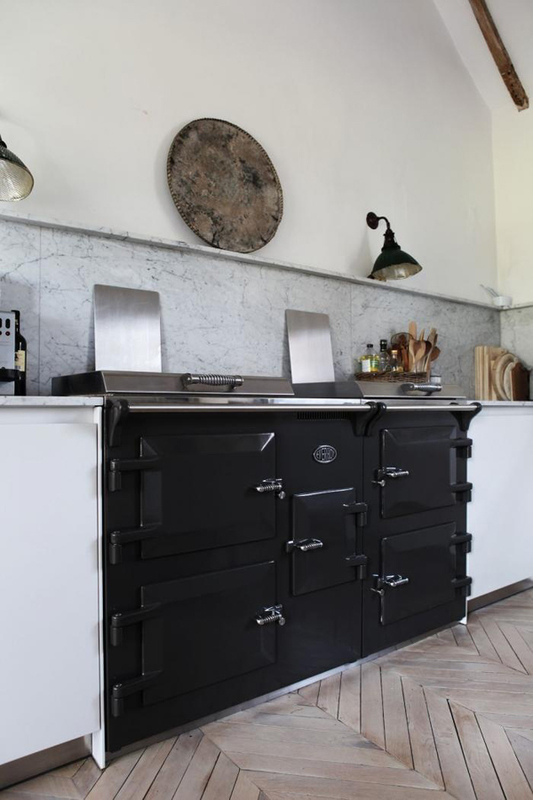 Aga Stove, via Lovel Life | 4. 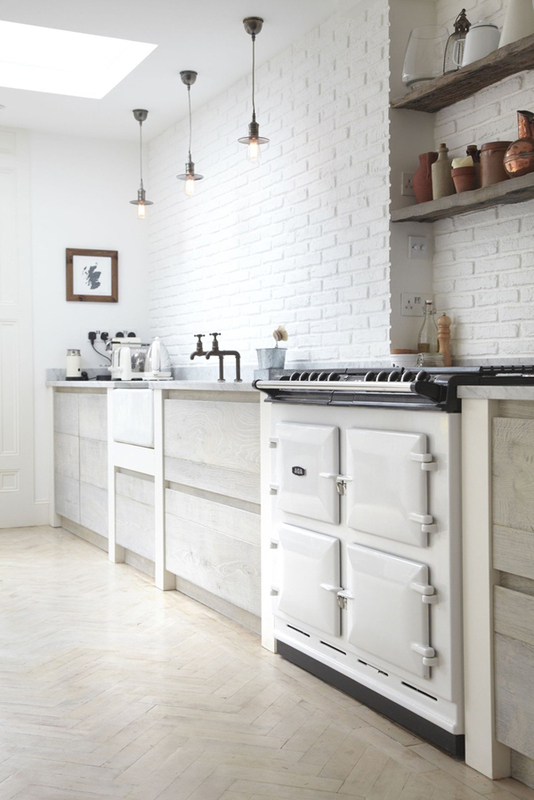 British Standard | 5. 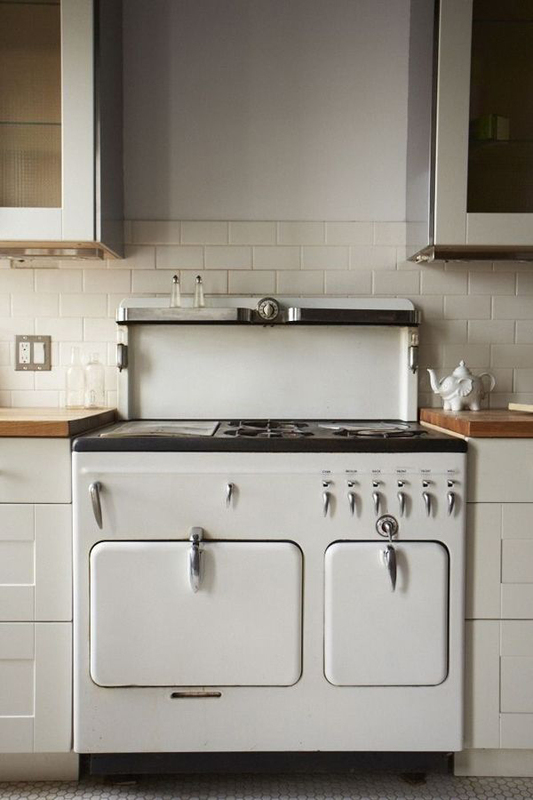 Everhot cooker, via Shoot Factory | 6. vintage stove | 7. 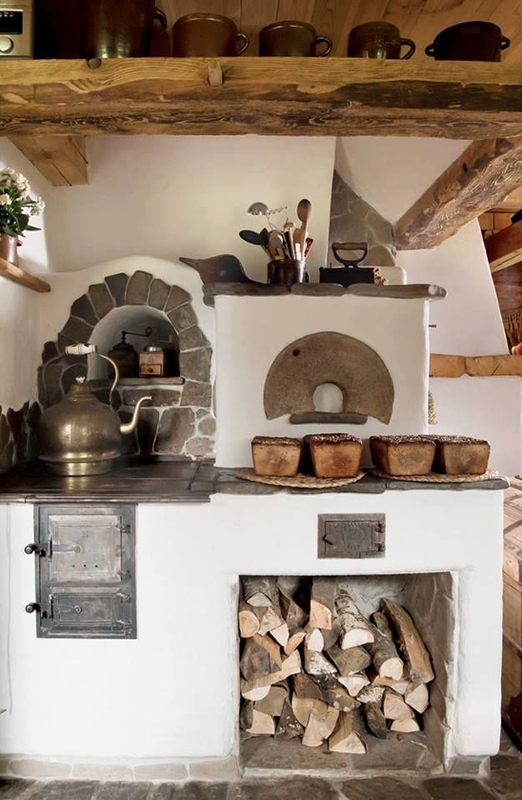 JJ Locations | 8. rustic Swedish kitchen, via Lantliv | 9. stove in a 16th century home | 10. rustic kitchen, source unknown.